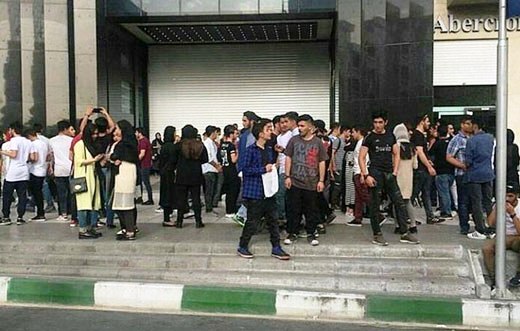 Two generation Z Iranians have been arrested in the northeastern city of Mashhad for organising a youth gathering near a shopping centre. The call for a meeting was organised using Telegram, a cloud-based instant messaging service that has become popular in Iran in the past two years. The gathering was organised for 23 June. When the crowds of Iranian youth got together around the meeting point, there were faced with riot police, undercover militia and regular police officers who dispersed the crowd and arrested some. The police have not given out names, genders or numbers of those arrested but has emphasised that they belong to the generation Z, those who were born after 2000 in Iran who are known collectively as the 1380s generation (Persian colander). Of those arrested on 23 June, all but two have been released on bail or with notices. According to the Mashhad Police spokesperson the two that remain in custody are the ones who “master minded” the plan for the gathering. This form gathering is a trend among the internet generation in Iran. Many of youth develop online friendships and relations in the digital sphere and the assemblies are organised so that the youth can get to meet their digital friends in public. The meetings are often mixed gendered and the Islamic state, security forces and basiji militias frown upon these gathering mostly because it reflects on the power of Iranian grassroots active on the internet. The police have cracked down similar gatherings in other cities, including in the capital. 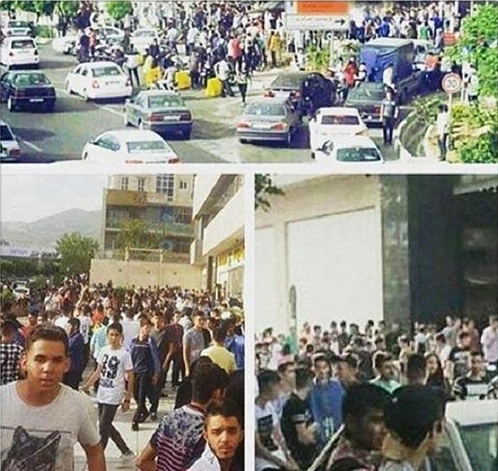 On 8 June 2016, Tehranian youth called for a gathering near Kourosh shopping centre in Tehran. The police was there to greet them. Some were arrested, the rest were forcefully dispersed. In 2011 Iranian security forces brutally cracked down hard on a similar gathering in the Ab and Atash Park (Water and Fire Park) in Tehran. The generation Z had also organised that assembly and they had call for a water fight. It was suppose to be an occasion of fun and play. The youth had used Social media like Facebook and twitter as tools to spread the word about the party. The security forces arrested many arguing that it was mixed gender crowd and that the water fight was disorderly conduct. The generation Z assemblies are not political but the Iranian security forces often see these gatherings as a power tool of digital social media. They are cracked down because generally any assembly in Iran needs to have a permit. Those who gather without a permit can be charged with disorderly conduct. The public meeting and gathering of the generation Z have become a major debate in the social media. The police are now saying that the Mashahdian youth were arrested both for disorderly conduct and for increasing the city’s traffic.